Sparks Politics: Republicans to change a light bulb ? 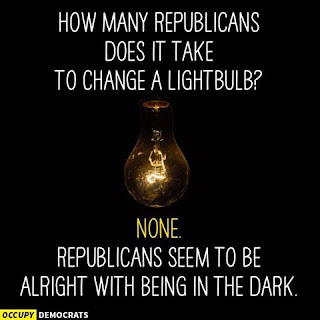 Republicans to change a light bulb ? How many Republicans does it take to change a light bulb? 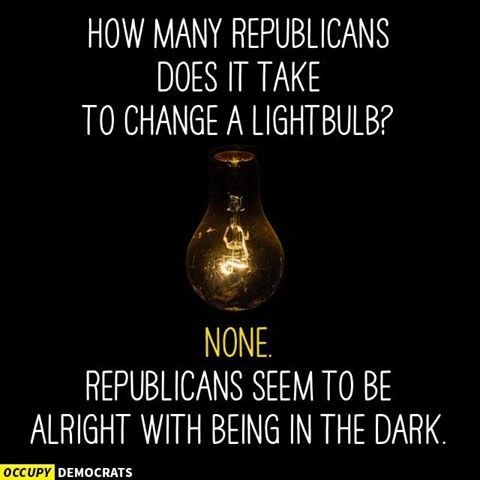 None, Republicans seem to be alright with being in the dark. Do you think the GOP would stop it's obstructionism with Clinton in office? No way ..... all they know is NEGATIVE. That is why Trump has taken over. James Michael Parrent Democrats; be careful. Do not become complacent. Help get out the blue vote. Vote Democrat from the Court House to the White House. E. Mark Anderson This election cycle is is not just about POTUS. It also about removing 24 obstructionist senators and 234 congressman up for election. We either go blue no matter who or continue with the obstruction and drumpf. 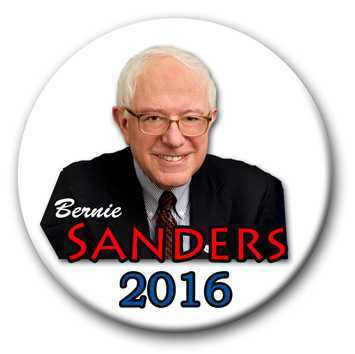 Vote Bernie, Vote Hillary, true blue is the right thing to do.